Sometimes it’s the simple things that really make a difference. Often when writing any script you have to decide whether to output stuff to the screen or to a file. What if you need to do both? Normally you create additional scripting lines or a function to output the response from a cmdlet to a log file which you can review later. Well I stumbled by accident across a very simple way to avoid this…just use the cmdlets Start-Transcript and Stop-Transcript which will output anything written to the screen into a text file. All snapshots older than a particular date, say 30 days? One of NetApp’s best practices is to increase the disk timeout settings for VMs to 190 seconds so VMs don’t blue screen if they temporary lose connectivity to their disks say during a cluster failover. I’m sure you’d love to go through all your VMs and load regedit manually so why not grab a list of VMs using PowerCLI and set the registry value. The VMs will obviously need to be powered on and you will need permissions to be able to write to the registry. The first is to get all the VMs you want to change. 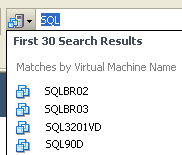 The second stage is to work some registry magic for the VMs you have. Or you can combine a read, set and verify.